Science with the "Big Kids"
The children in Preschool A were treated to a special lesson this week when Connor’s mom, Wendy (who happens to teach eighth grade science), invited us to her classroom for some chemistry! 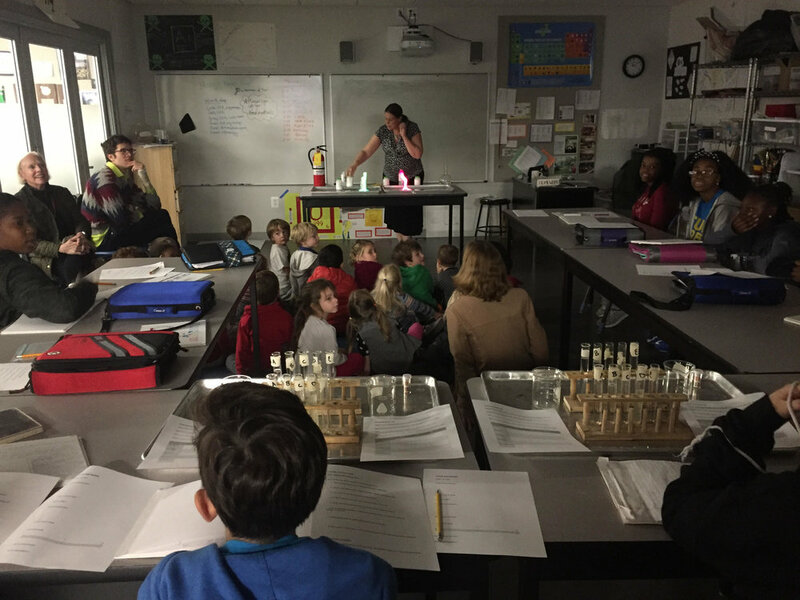 As eighth grade students added chemical compounds, such as calcium chloride, to a flame, we witnessed a spectacular display of magenta, blue, green and lavender fire — right before our eyes. The preschoolers were in awe — inspired by the "magic" of the chemical reaction in the presence of the "big kids"!